Through the Big Muslim Fund, we tackle poverty by removing it’s causes, one issue after another. So your donations bring lasting change to the poor, one village at a time. One man’s Zakat or Sadaqah might not solve the safe water crisis of a Ghanaian village. But the Zakat of several men/women can. 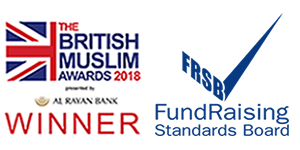 With the Big Muslim Fund, your Zakat and Sadaqah contributes to one of two pools of designated Zakat-eligible projects and sadaqah projects. Please support us when calculating your Zakat or giving Sadaqah. Imagine a remote village in East Africa. Give them a safe water source. Give them sanitation. Give them some seeds and tools for farming. You’ve already eradicated disease and saved a community from thirst and starvation. You’ve protected their women and given families the means to not just feed themselves, but to make an income and even store food for the future. Through sustainable development projects, MGR helps people break out of poverty by addressing the issues that keep them poor. At MGR, we kick-start development in poor villages through the Big Muslim Fund. We find a village in need and first give it a safe water source to enable life and end the spread of sickness through contaminated water. We install sanitation facilities to promote hygiene and eradicate disease. Then we gift fruit trees or seeds and tools for farming, which enables families to grow food they can eat and trade. Often, we even build village mosques, providing people with a place for worship, learning and community support. Then we move on to the next village in need. MGR’s Big Muslim Fund tackles thirst and hunger through development projects. We build wells and help communities in poor villages plant trees and grow crops so they can feed themselves tomorrow and in the years to come. But there are thousands of people who are facing starvation now. MGR works to reach people tackling hunger and thirst all year round, but this Ramadan we need to boost our efforts. Can you help us? Last Ramadan, your donations enabled us to feed over 5000 people in poor villages and camps across Gaza, Ghana, India, Lebanon, Niger, Pakistan and the Philippines. This year, Palestinian families in Al-Toffah village and Syrian refugees in Iqleem Al Kharroub camp will be relying on your kindness. Mothers in Ghana’s Sabon Zongo or India’s Panbaraj village are praying that the Holy Month will come with blessings of plenty, so that they can feed their children well. Please support us so that we won’t have to let them down. At MGR, we distribute Fidya to the poor, in the form of food. The standard cost of Fidya for a single missed fast is £6. £180 is the total cost of Fidya for the whole month, and is paid forward as an MGR food parcel containing a month’s supply of food. At MGR, we distribute Kaffarah to the poor in the form of food. The cost of Kaffarah is £360.